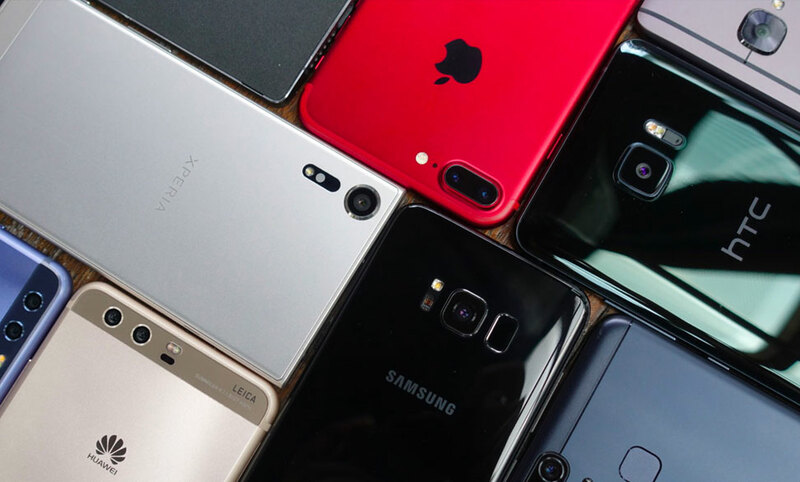 Want an iPhone with the least monthly commitment possible? 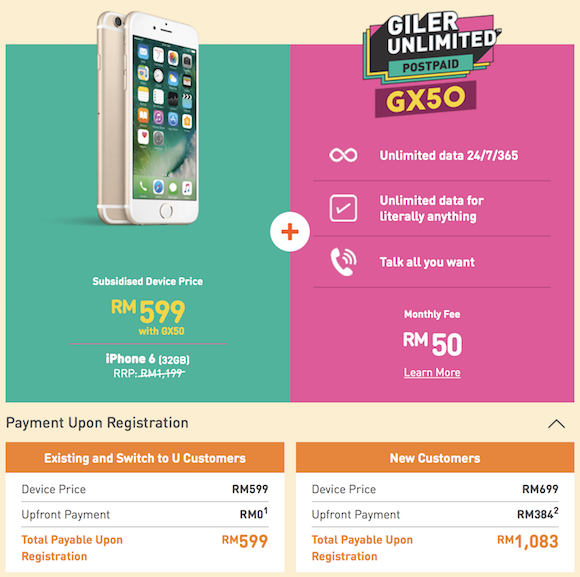 U Mobile is currently having a “giler deal” where you can get an iPhone 6 32GB at RM599 on an unlimited postpaid plan contract of RM50/month. 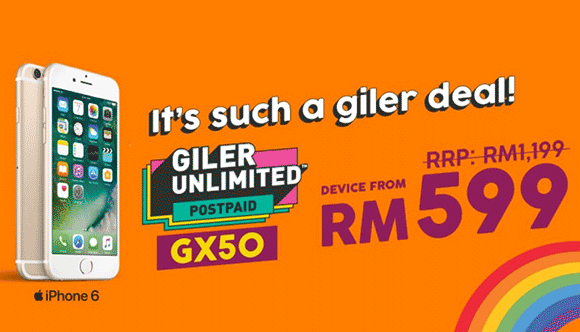 In case you missed it, U Mobile had recently introduced their most affordable unlimited postpaid plan with its Giler Unlimited GX 50. 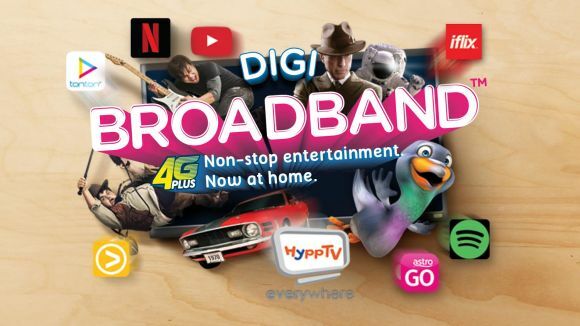 You can get unlimited calls, 5GB hotspot data and unlimited data on your phone (speed capped at 5Mbps) for RM50/month. With a 24-month contract, the iPhone 6 32GB can be yours for only RM599. 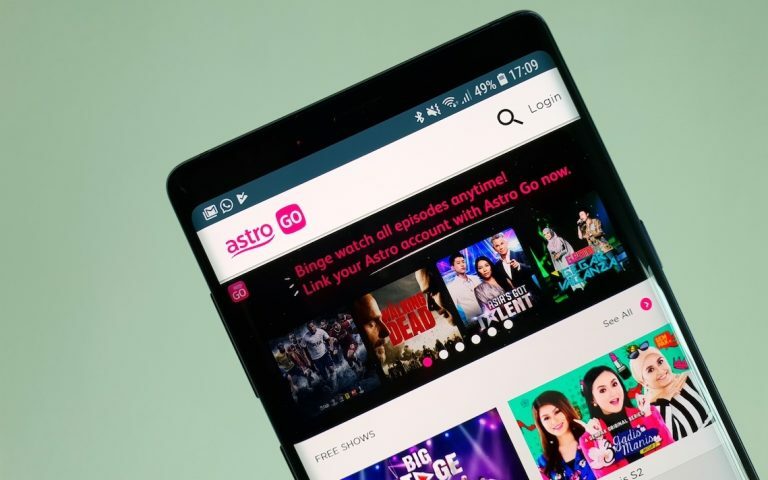 If you add the device and monthly subscription fee for 24 months, this whole commitment will cost you RM1,799 (before tax). 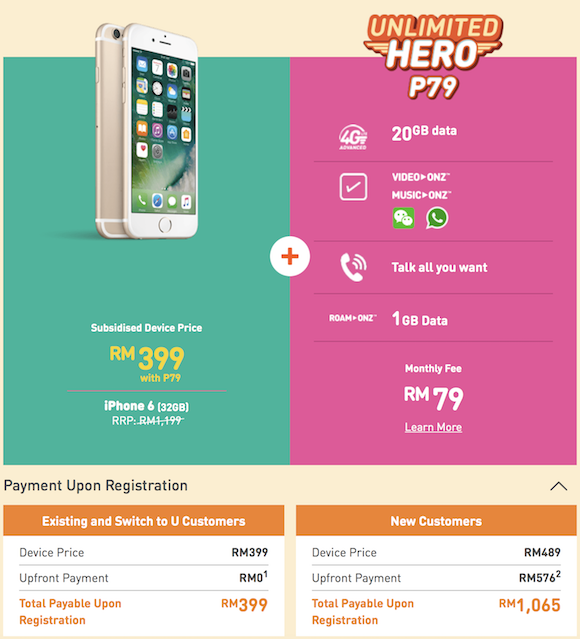 If you hate speed caps, you can also get the iPhone 6 32GB for RM399 on an Unlimited Hero P79 (RM79/month) contract. 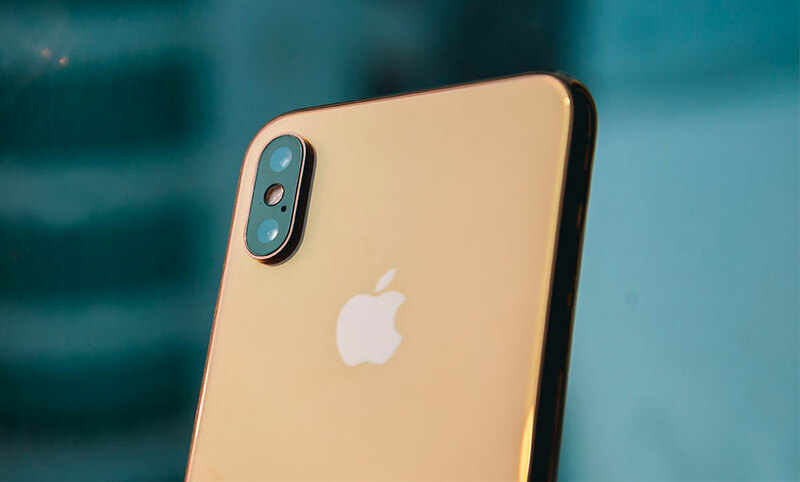 This plan gives you 20GB of high-speed data, unlimited music and video streaming, plus unlimited calls. 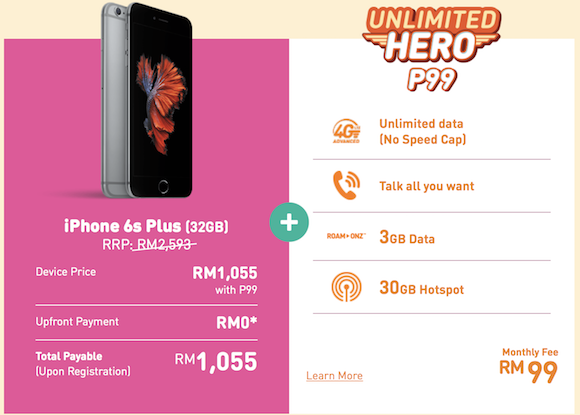 The ultimate option of the three plans is Unlimited Hero P99 at RM99/month and the iPhone 6 32GB can be yours at RM99. 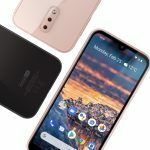 The plan gives you unlimited data with no speed cap. 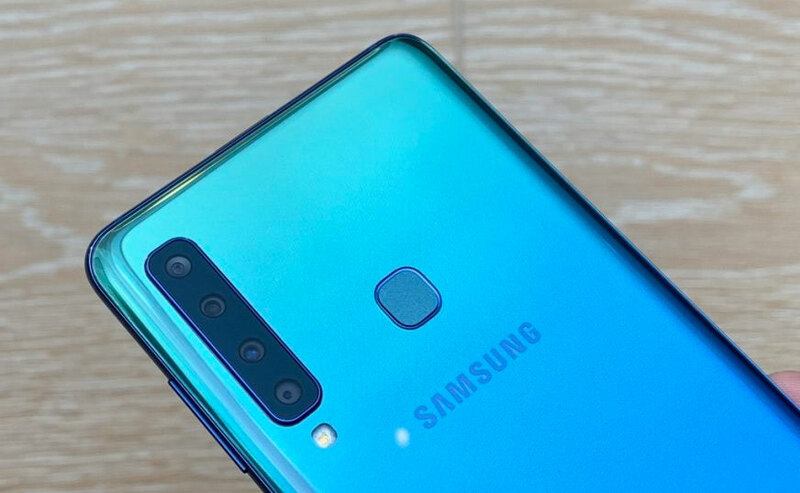 It also has 3GB of Roam-Onz and 30GB of hotspot data plus unlimited voice calls. 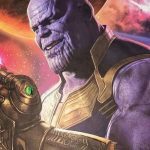 All options are tied with a 24-month contract period. Depending on which plan you pick, there’s an upfront payment between RM384 to RM864 that’s required during registration. This amount will be rebated back to your monthly bills. If you’re porting into U Mobile or are an existing U Mobile customer, this upfront payment will be waived. Take note that the iPhone 6 device price is higher for new customers. 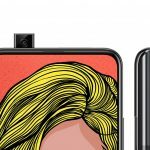 SEE ALSO: ICYMI #68: Galaxy A70 passed SIRIM, Realme 3 Pro, Tealive promo & more! 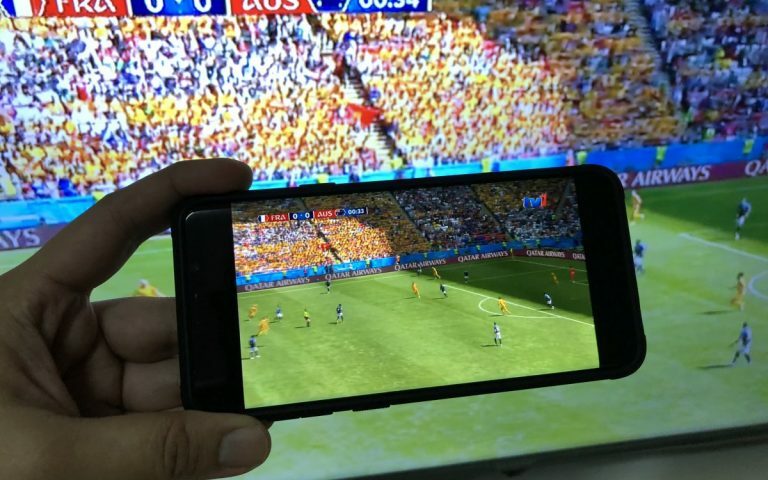 Want a bigger screen? 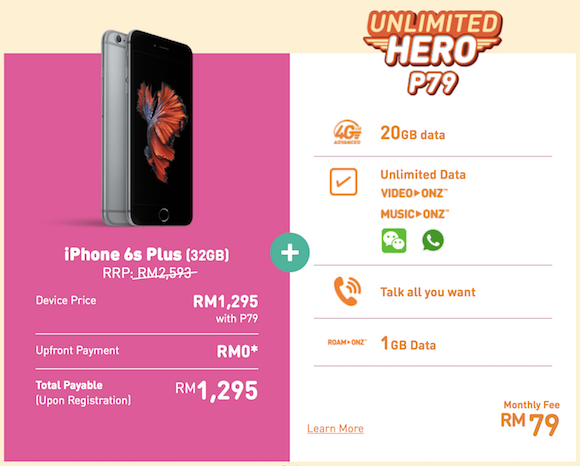 You can get the iPhone 6s Plus 32GB at RM1,295 with the Unlimited Hero P79 postpaid plan. 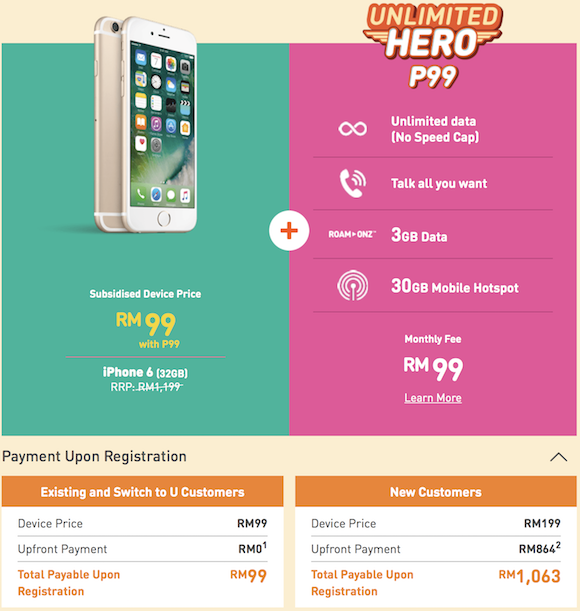 Alternatively, you can get it for RM1,055 on an Unlimited Hero P99 postpaid plan. 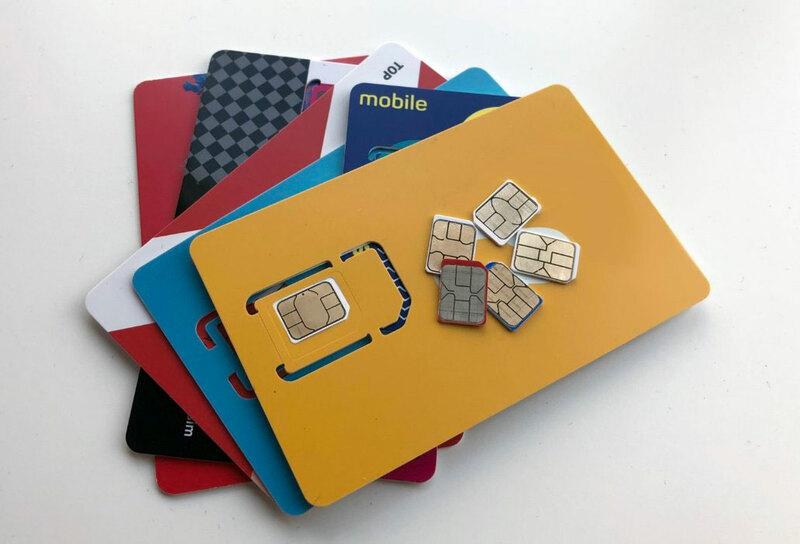 For new U Mobile customers (including port-in) and non-eligible existing subscribers, there’s an upfront payment of RM480 (P79) and RM720 (P99) required during sign up. 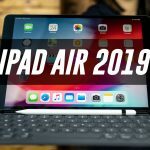 This will be rebated back to your account across 24 months. The upfront payment is waived for existing U Mobile customers that are eligible. For more info, check out U Mobile’s iPhone 6 and 6s Plus promo page.